Ivory to pale yellow to light brown; prominent band from snout along flanks to groin. Not dependent on Arum lilies for survival. Harsh ‘quee-quee’. Males call from elevated position on emergent or floating vegetation. 43 mm Not Threatened Harsh ‘quee-quee’. 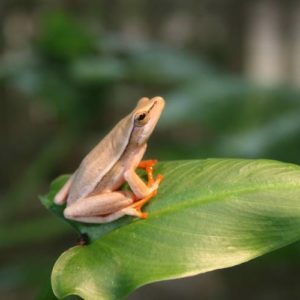 Males call from elevated position on emergent or floating vegetation.